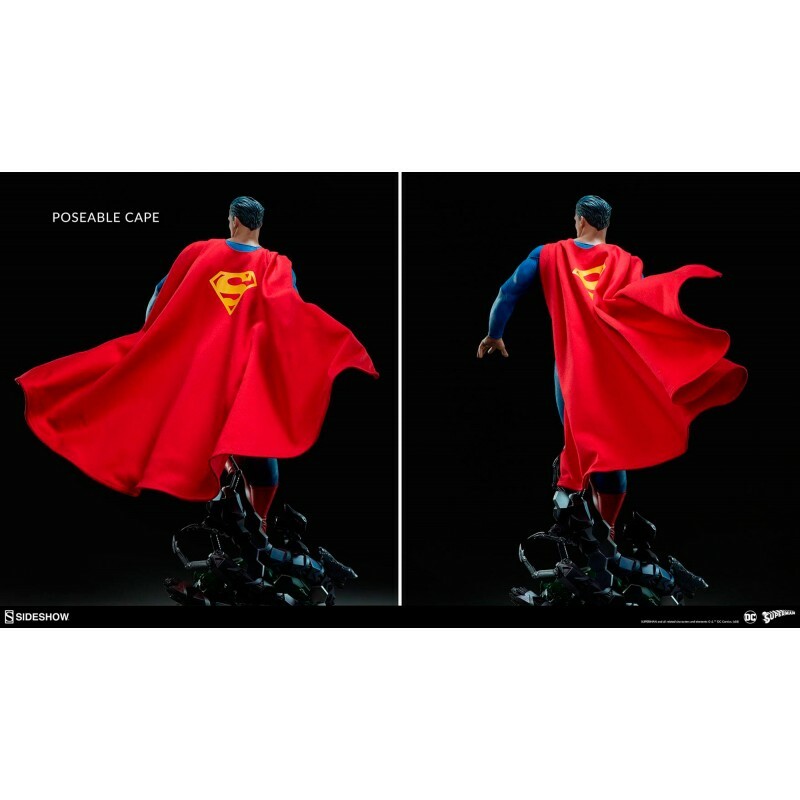 Sideshow is proud to present the Superman Premium Format Figure. Measuring 66 cm tall, Superman touches down from flight onto a base themed after Brainiac's skull ship, with mechanical tendrils. 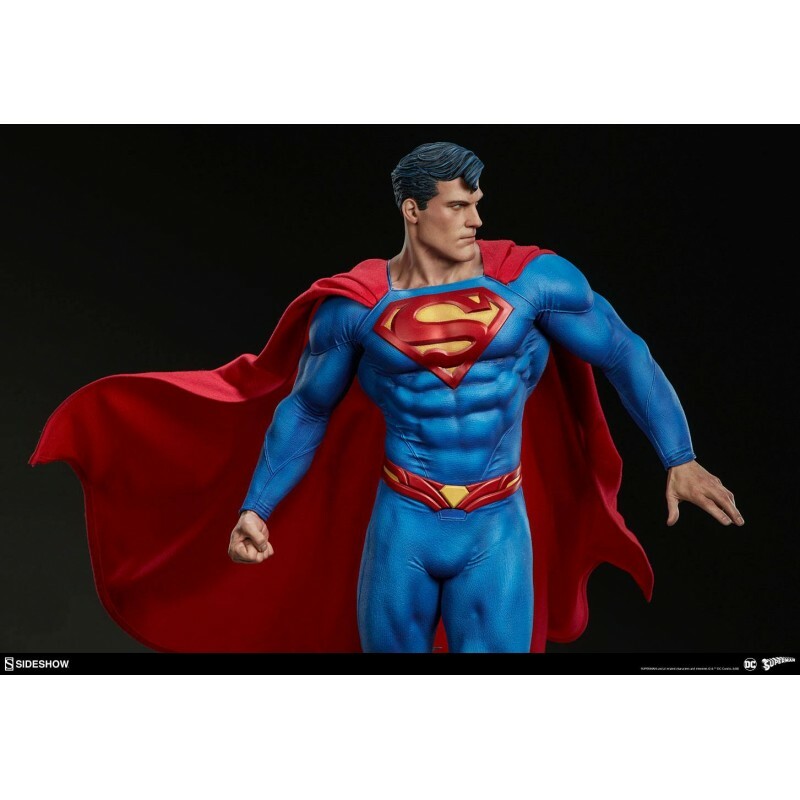 The polystone Superman Premium Format Figure has a sculpted blue costume with textured elements and red and yellow details, including his belt and the symbol of the House of El emblazoned across his chest. 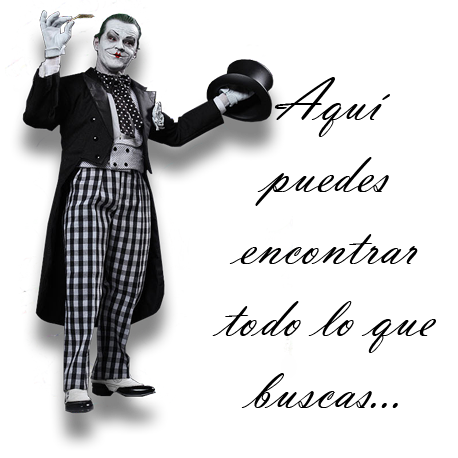 He has a muscular physique and a portrait inspired by his comic book appearance, complete with his signature black curl of hair. 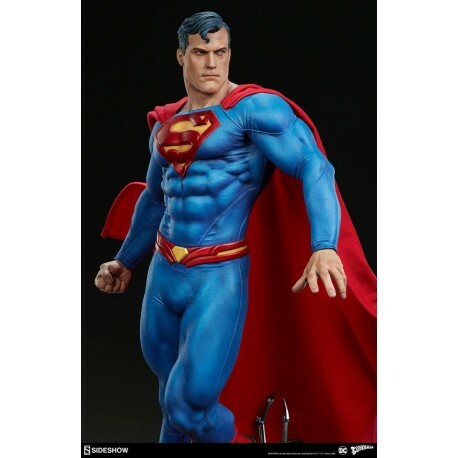 The Superman Premium Format Figure also includes a poseable red fabric cape marked with Superman's symbol in yellow. 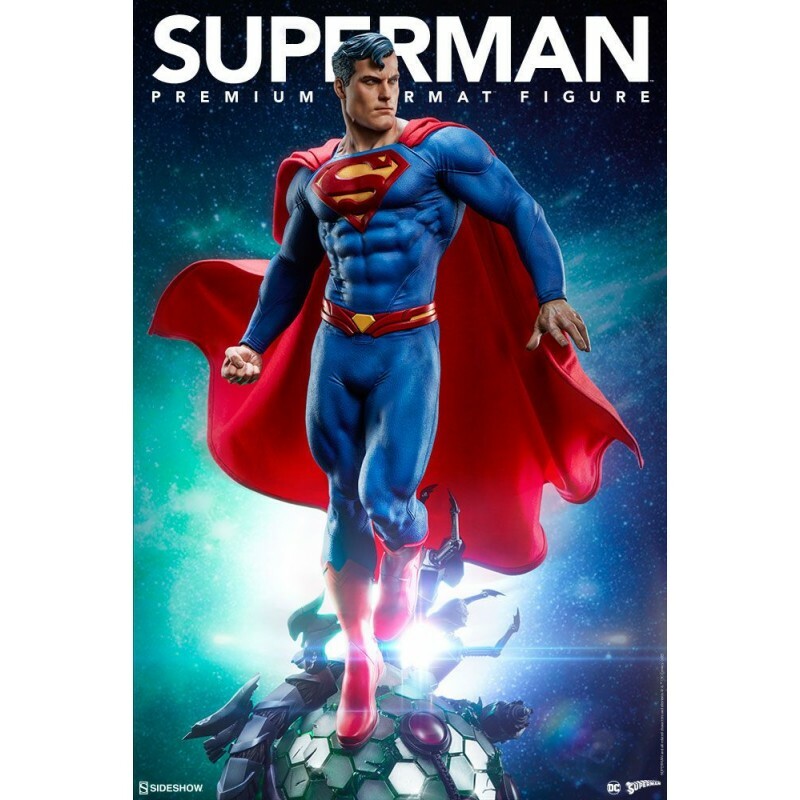 Bring home the Last Son of Krypton and add the Superman Premium Format Figure to your collection today! Polyresin statue of the line "Premium Format".